To celebrate the New Year is to celebrate time. We count down to a midnight -- a moment in time. We turn another year forward on the calendar and, if only on this one night each year, we all confront the the passing of time. We tell ourselves that time is fleeting. We wonder where it went. Yet, if we are being completely honest with ourselves, we also know that there is enough time. If we make good decisions and live well, then the day is long enough to do with it what we want. If we show up each day and do our best, then the year is long enough to make tremendous progress in our lives. If we take care of ourselves, eat wisely, and exercise, then life is long enough to allow us to live all of our dreams. It is! Yes, we do have enough time! But only if we respect that each moment, that each day is precious. There is time to have lots of fun (but not too much fun). There is time to work really hard (but not too hard). There is time to learn new skills (while still staying balanced). There is time to diet (and time to feast). There is time to exercise (and time to lay on the beach). There is time to be on stage (and to watch a performance). There is time to travel (and to stay at home reading books). There is time to be a daddy (and to be a husband, lover, friend, son, son-in-law, and citizen). There is time for intellectualism (and time for silliness). There is time to be rich (if we don't spend too much time shopping). There is time to be drunk (if we can tolerate the hang-over). There is time for everything we want to do today, this week, this month, this year, and in this one lifetime. Oh, and too much time could never be spent in love. In 2012 and beyond, my deepest wish to all of you is that you seize each moment...that you recognize both the preciousness and, paradoxically, the abundance of time. Of course our time on Earth is limited. But if we make the most of it, there is also enough of it. Happy New Year! Click the gray box below to listen to the Belle & Sebastian tribute podcast, including 3 covers of some of my favorite B&S tracks. Belle & Sebastian always made it feel OK for me to connect with that child-like place inside of me…to see my world as though it were being filmed through a Super 8 camera…to somehow feel nostalgic about the very moment I was living in. The purity, simplicity, and honesty of their melodies changed my life. I saw B&S play live in Seattle twice. The first time, I absolutely couldn’t believe it was really happening. Up until then (2001), they really hadn’t toured much. This contributed to their mystery. For me, they were from some imaginary world of Glasgow and it was so far off in my imagination that I would never really touch it…well maybe if one day I would be lucky enough to go there. But then there they were, in front of my eyes! It was just 2 or 3 days after 9/11 and there was some debate about whether holding the concert was even appropriate. It was. For those in attendence, this concert was a clear reminder that life would go on. The strange thing is, both times I’ve seen Belle & Sebastian live, I left feeling slightly disappointed. I guess it is impossible to capture the purity and the magic of their recordings...which for me are from another, more perfect world. Check out their best work: "The Boy with the Arab Strap", "Sinister", "Tigermilk", and any of their EP's from the 1990's. Right now I'm in Vancouver, British Columbia on business. I don't have any harsh or biting sentiment to share (as I did during my recent trip to London). I like Canadians. They are like Americans...but a bit less jaded, a bit less detached from reality, a lot nicer and more sensitive. Vancouver is a bastion of beauty. The software company I work for recently hired 6 Americans (including myself) and we are definitely viewed as the "bad guys". They think we're too focused on results, on revenue, on performance. It's true that we aren't being very nice, but it is also true that we are turning the company around and ultimately saving the jobs of all these nice people. It has been interesting to watch a company of 150 people sort of step aside to let us do it. The transformation, in just these last 8 months, has been unbelievable. Our company mission is to really transform the way digital content and services are sold through multiple channels and devices. It's fun to work in software because, really, we are only paid to think about and discuss ideas. Sometimes this doesn't even feel like work at all. Technologies like ebooks, ipads, game consoles, and OTT Boxes are beginning to thoroughly transform the world of digital content just as iPods have transformed music. These technologies are disruptive and right now there is a panic in the media and publishing industries. How do massive, billion dollar companies compete with self-published authors, free content, and such rapidly-changing formats when they made their fortunes in the old analog, print world? My job is to help top-level executives in these companies dream up disruptive, transformative business models that are even more radical than the very technologies and trends that are threatening their survival. But the only way to survive and thrive during disruptive times is to live even more disruptively (as true in business as in life). Getting people to realize, and embrace this isn't easy (even when it is in their own best interest). Most people fight what is new and different, then someone else comes along and does it instead and they are left wishing they had been that brave or clever. It's been really fun, from my apartment in Kosice, to be paid to have conversations with executives around the world who are willing to talk to me just so that I can basically tell them that their entire business model is finished. Of course they already know it at some level, and they are desperate to brainstorm all of the new possibilities. They have no other choice. It's also fun to hang out with such smart people who share this mission. What we're doing is all about content...all about pushing content out to a consumer audience who is willing to pay for it. Yet, just now, in the lobby bar at this hotel, I was talking with some of my colleagues. I suggested that, at some point, people are going to just be fed up with all the shopping, all the content, all the distractions, all the noise. I pointed out that, after a long day of meetings, our impulse was not to rush to our ipads, our iphones, or our content. No, we immediately went down to the bar to talk, face-to-face. We wanted to laugh...to share stories....to exist! Even an industry veteran who I admire, a 62-year-old who I followed from my last company to this one...a man as respected as anyone in this industry...nodded with depth and understanding to acknowledge this irrefutable statement. Mark Manney is an American Writer, Recording Artist, and Social Commentator who uses the alias “Abscondo” to share his ideas across multiple communication channels and art-forms. Important ideas beg to be shared. Some ideas are best expressed through the emotion of music. Abscondo is a solo musician who released a well-received debut album called “Midnight Snow” in 2008. In November 2011, the artist released an ambitious full-length called “Victory in a Landlocked Sea”. Mark is a solo musician in the truest sense; performing almost everything on the albums, mixing it all in his home studio, and producing the final tracks to be released for free via Creative Commons. Songs on the albums were written while traveling through and living in places such as Seattle, Slovakia, London, Paris, Croatia, Barcelona, and Greece. In his uniquely comforting, melancholic sound you can feel his longing for authentic passion, love, and freedom despite a harsh world that relentlessly tries to push us in other directions. Some ideas are best expressed through writing. 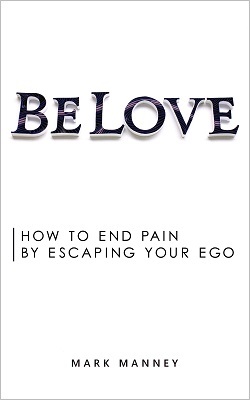 Since 2004, on the Abscondo Blog, Mark Manney has put together what has become a life philosophy and worldview that connects personal topics such as love, happiness, life purpose, health, finance, and politics. While Mark willingly left Seattle to live in self-imposed exile in Eastern Europe, the ideas presented on the blog are as practical as they are romantic and relevant to anyone seeking a better, more authentic life. In March of 2011, Mark also published his political manifesto “Love It or Leave It: The End of Government as the Problem” which is available in print, ebook, and audio formats. In the book, he proposes realistic plan that would give Conservatives exactly what they say they want. By doing so, he exposes the fundamental problems with free market theory and Libertarian thought. Still other ideas are best expressed through the dynamics of conversation. “The Abscondo Podcast” includes honest conversation and interviews with fascinating and accomplished guests. Mark is also an experienced talk-show guest who has appeared on dozens of AM and FM talk-radio shows across America. Worthwhile ideas speak to our deepest truths, but also must be compatible with present-day reality. Mark is an MBA with more than 15 years of international business experience in the software industry. Even while living in Eastern Europe, recording music, and writing, he has also worked with many of the world’s top brands to generate $19 million in software revenue. Abscondo does not believe in compromise. He has shown that being an artist doesn’t necessarily mean being a starving artist. Being a successful employee doesn’t necessarily mean staying in the same office for years (or even the same continent). Being an MBA doesn’t mean turning your back on human truths. Too often we accept these kinds of life trade-offs, and yet we live just once. Mark has shown, in his own life and through the ideas he presents on the blog and in the podcast, that most of the time it is possible to have the best of both worlds. Mark is from Seattle but spends most of his time in Eastern Europe with his wife and young daughter. What’s the first thing you would say to someone when they ask you to describe yourself as an artist? I’m an independent-minded acoustic singer-songwriter who records comforting, melancholic music and makes it available to my fans for free. My songs are lyrically-driven because I make music to communicate ideas. I’m not in the music industry. I make a living in the software industry and I make music because I love music. Whenever I’ve tried to mix money with music, the result was that I spent a lot of money only to fail both commercially and artistically. My art is about meaning. Industry is about money. So I have decided to free my art by completely separating it from money. I spend almost nothing to record or write and I expect almost no financial return. My goal is only to record songs that I love and to reach an audience of appreciative fans. Do you have any projects out now? My second Abscondo solo album, which is the most ambitious effort to date, was released on November 11th 2011. You can download the album “Victory in a Landlocked Sea” for free on Jamendo or link from my blog (www.abscondo.com). My debut album, “Midnight Snow”, was released in 2008 also through Creative Commons (free download) on Jamendo and has thousands of downloads and 100,000′s of listens. In 2011, I also published a political book called “Love It or Leave It: The End of Government as the Problem” which is available in every format (including free eBook). Visit www.markmanney.com to find out more. My other active projects are the monthly Abscondo Podcast and the regularly-updated Abscondo Blog. I was a musical late-bloomer. I bought my first guitar at around age 20 and am entirely self-taught (though it took a long time because I mostly played alone and nobody was pushing me forward). I only became a huge music fan in my early 20′s (in the mid-1990′s). My real musical inspiration originally came from bands like Belle & Sebastian, Radiohead, Pulp, Elliott Smith, and Travis. In the years leading up to my solo debut, the artists that influenced my sound the most include artists like Damien Rice, Glen Hansard, Camera Obscura, Badly Drawn Boy, Rufus Wainwright, early Coldplay, Snow Patrol, Bright Eyes, early Decemberists, Kings of Convenience, and of course hundreds of others. But the truth is, it isn’t just the music that inspired me to create music. I began taking the art of songwriting seriously around the time I moved in Slovakia in 2005. Most of all, a songwriter needs to have something to say. This is the point in my life when, through so much personal exploration and experience, I discovered exactly what I wanted to say and the songs came naturally. I’m from small-town Wisconsin, went to University in Colorado Springs, lived for 5 years in Seattle (where I saw most of my favorite bands live). I have lived mostly in Slovakia, but also in Barcelona, Cannes, Paris, and London for short terms over the past 6 years. I find that wherever I’m located for more than 2 weeks quite naturally becomes home. What artists in the industry inspire you the most today? Aside from the artists already mentioned, lately I’ve been most excited about a few artists I discovered on Jamendo (Can’t Stop the Daggers, Orphan Songs, Screenatorium to name a few). My intention is to spend a lot more time exploring Creative Commons music. Sure, I bought the new Coldplay (a bit disappointing), Lisa Hannigan is currently getting a lot of plays, Tired Pony, Swell Season, Emiliana Torrini, and Imogen Heap (actually I like quite a few female vocalists these days). I could talk about other genres (such as my love for lounge music and trip-hop), but I’m not sure it inspires my music as directly as the artists I’ve mentioned. I look to music to perceive beauty in even a common Tuesday morning. I like well-written and melodic songs, which are ideally a bit subversive, about authentic feelings. The artists I’ve mentioned seem to know how to reach me where I am and then they take me to somewhere slightly different, slightly better. This is probably also how I write songs. I start with an idea or topic that I happen to be working on at the time, or maybe I start with the geographical location I happen to be in, and then I try to go just a few steps toward an even better, even truer, or even more beautiful place. I think my listeners play my albums when they are looking for exactly the same thing. What makes you different from other artist today? I’m quite sure I’m entirely different from any other artist today (half-joking). Without even accounting for the music, itself, consider the fact that I’m an American MBA making a living in software sales, who lives mostly in Slovakia, who is a Writer, Social Commentator, and releases heart-felt, sensitive music for free. I believe in seeking the truth, embracing beauty, and searching for true freedom. None of this is found through compromises or trade-offs; rather, by seeking the best of both worlds in every aspect of life. I define my life through limitless possibility while others tend to define it through my obvious contradictions. What do you want your future fans to know about you? I want them to know that my life means nothing if lived only in my own, isolated bubble. I write and I record with the audience in mind. I go to extreme measures in my personal life because I hope to show them something that might improve their lives. I offer everything for free because I don’t want money to come between us. I also want them to know that I mean everything I say literally.